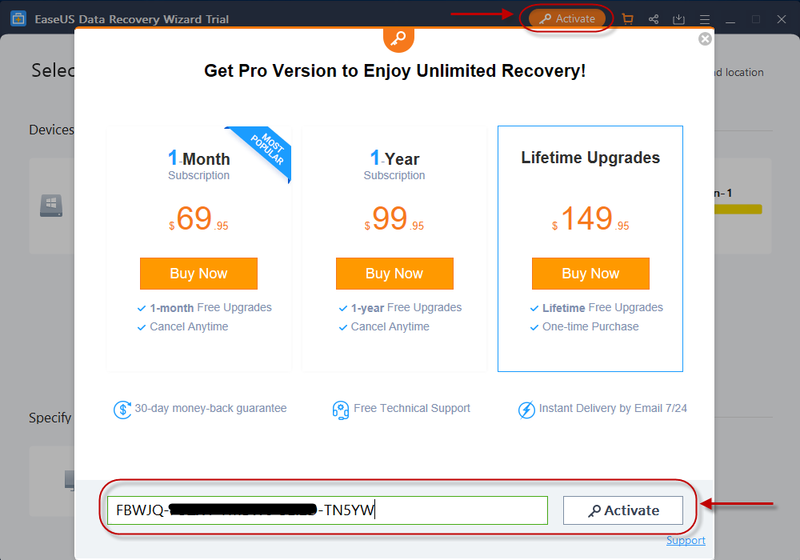 This article offers the method about how to activate free/trial version to full version and upgrading from old version to new version. Users of this product always choose to evaluate Free or Trial first and order a full license only if they can find desired data after the test. Both Free and Trial is able to show you what a full license can recover. The difference between the 2 editions is that free version allows you to save 2GB files before upgrading to a full license, for a better validation of the recovery quality. However, trial can only show you what files we can find after a scan, without any ability to actually save a file. If you want to move the license code from old machine to new one, please follow the link below to register an account and reset the license code in the account. After that, you can re-activate the software on the new machine. The Upgrade or Activate icon can be easily found either in the scan result page or home page of the product. 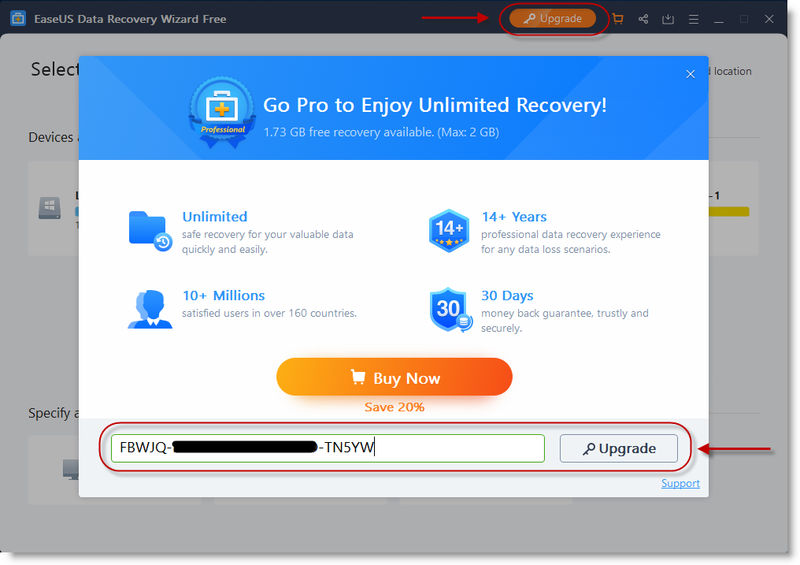 You just need to enter your code formed by 25 letters/digits received after placing the order, and then click activate to transfer trial/free to a full copy and start saving lost data. 1. It’s better to enter all the codes with copy-paste, as manually typing sometimes will result in Invalid code due to confusion between I and 1, 0 and O etc. All licenses of this product are entitled to get upgrade freely in the lifetime. Whenever there is a new version available, full license owners only needs to download a latest trial/free version and enter the code again to enjoy all improvements of the latest version without any additional charge.